South Tyrolean Farm Bacon Bauernspeck Steiner approx. 1 kg. 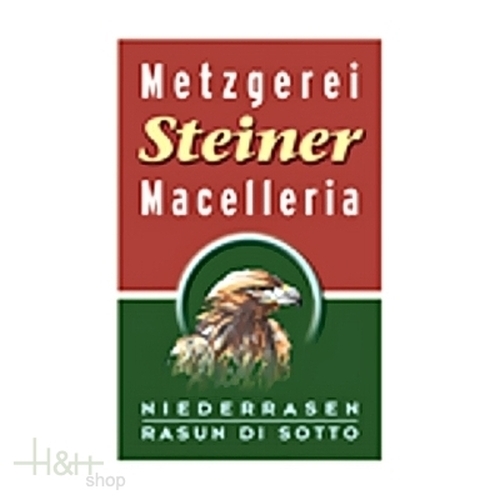 Buy now this product together with Farmer's Belly Bacon South Tyrolean farm bacon Steiner approx. 400 gr. Farmer's Belly Bacon South Tyrolean farm bacon Steiner approx. 400 gr. ready for shipment: in stock Farmer's Belly Bacon South Tyrolean farm bacon Steiner approx. 400 gr. Solar-matured Vinschger bio-apples are pressed to juice and then are processed carefully to pure vinegar. This apple vinegar is convincing by his mild, fruity-fresh taste and is suited to refine fresh salads. 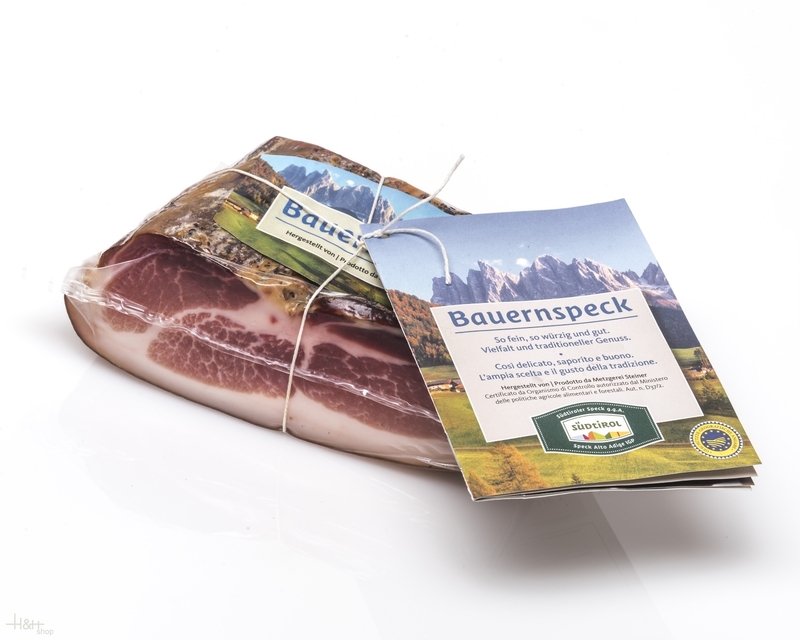 Kofler Speck is a South Tyrolean family enterprise with passion for bacon, sausages and meat products. After traditional and transmitted recipe refined generations and with very modern processing technologies we produce for over 30 years decent bacon, spicy Kaminwurzen (smoked sausages), Gselchtes (smoked cattle ham) and other high-class specialities. To our assortment also belong the South Tyrolean bacon g.g. A. and the farm bacon. Belly Bacon Smoked Pancetta Senfter approx. 300 gr. Original Speck Bacon Villgrater whole flitch ca. 4,5 kg. 65,80 EUR / 14,62 €/kg. South Tyrolean bacon Senfter G.G.A. 1/4 approx. 1.2 kg. 25,60 EUR / 21,33 €/kg. Imperial part bacon Fesa bacon Villgrater approx. 600 gr. 12,35 EUR / 20,58 €/kg. Ham Bacon South Tyrol PGI 1/4 vac. approx. 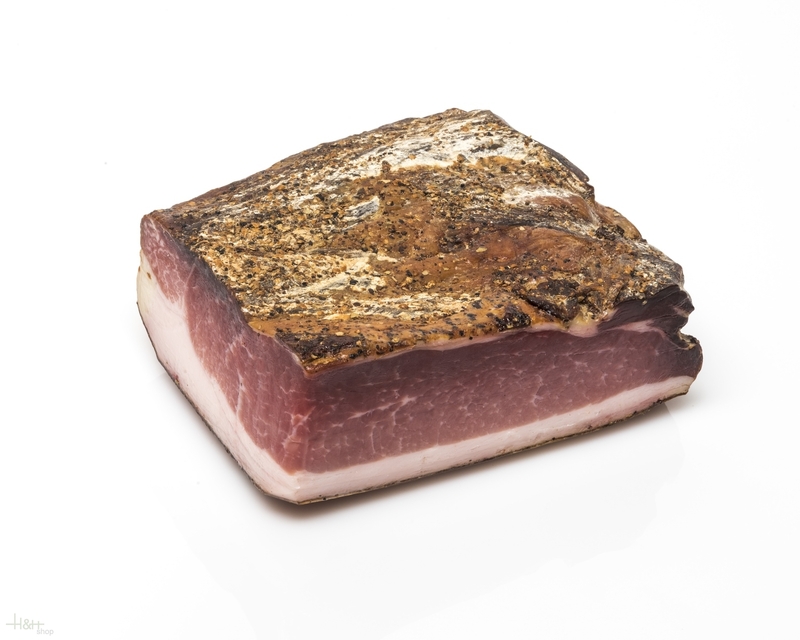 1 kg - Kofler Speck 15,90 EUR / 1,59 €/100 gr. Ham bacon South Tyrol PGI 1/8 core piece vac. approx. 475 gr. 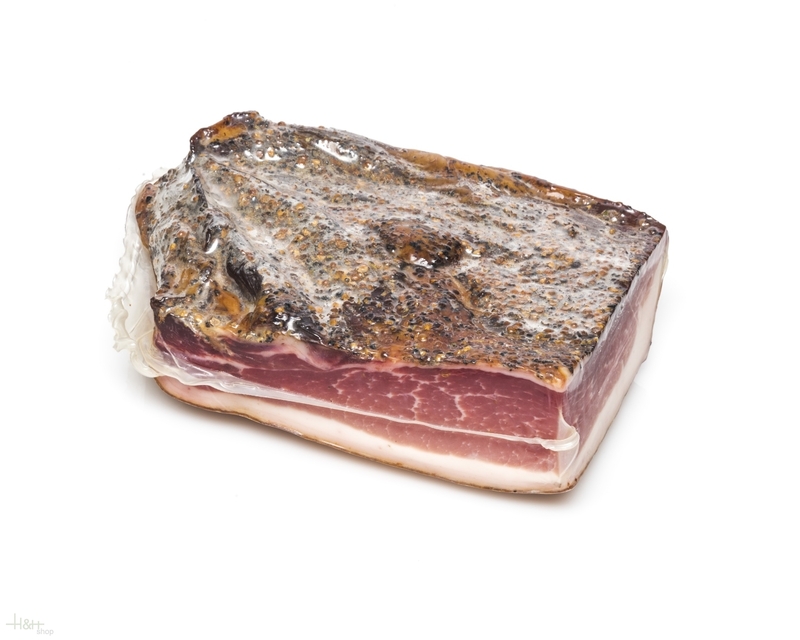 - Kofler Speck 11,60 EUR / 2,44 €/100 gr. Imperator Speck 1/1 appr. 1 kg. - Mair - Tiroler Schmankerl 34,35 EUR / 34,35 €/kg. Imperator Speck 1/2 appr. 500 gr. - Mair - Tiroler Schmankerl 17,80 EUR / 35,60 €/kg. Original Mezet Speck Bacon Sarntal L. Moser approx. 250 gr. 7,55 EUR / 3,02 €/100 gr. Thin Bacon Speck Sarntal L. Moser approx. 500 gr. 15,20 EUR / 30,40 €/kg.